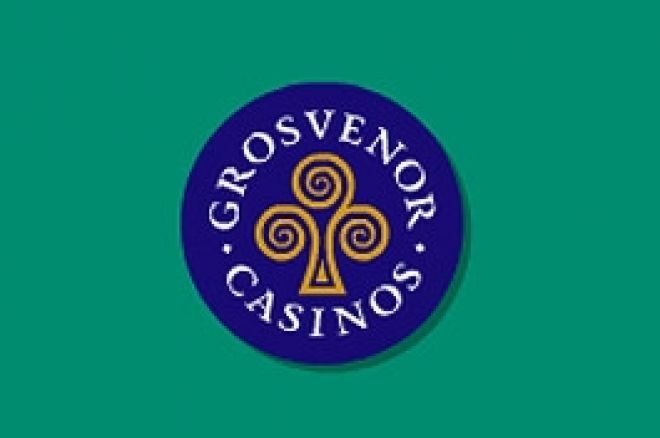 This event was the first of a series of ten such competitions around the Grosvenor casino estate in advance of a Grand Final at London's Victoria casino at the end of the year. This Tour has been widely welcomed by UK poker players as representing significant progress for the UK circuit. The Tour offers significant added value- £10,000 per competition and a £3,000 seat into the Grand Final for the winner of each leg, cash prizes for winners of the end of tour leader-board – television coverage of each event on Channel Four and a structure likely to be popular with all players. The first leg of the tour was a three day event with a £1,000 buy-in and was full to the 200 runner capacity to give a prize pool of £200,000 and a first prize of £65,000 before the addition of the sponsor's added value. 10,000 starting chips were given with a one hour clock and all the "filler" blind levels together with early running antes-antes being rare in a UK tournament context. The Players' List was a formidable collection of the great and good of UK tournament poker alongside the usual online and live satellite qualifiers. In addition WSOP bracelet winners John Gale, Praz Banzi and Lawrence Gosney were in the field, Gale especially being a rare participant on the UK scene. Unsurprisingly most players were content to play patiently on the first day, an opportunity afforded to them by the structure. Of the 200 runners, 130 made it through to day two. Early casualties included Julian Thew and JP Kelly whilst amongst the early pace-setters were David Kingsley flopping the nut straight with KJ off-suit and doubling up, Joe Lovelady, Simon Nowab and Nick Slade. At the start of Day two Stuart Nash and Paul Higgins made substantial progress. Nash found AA against Roberto Romanello's re-raise with QQ and Higgins saw a flop of AKJ with AK against KJ to move substantially ahead in chips. Meanwhile Praz Banzi was showing all the flair that brought him success in the 2006 WSOP. Flat calling the flop and the turn on a 2 Q 3 4 board he then pushed his last 21,000 into the middle on the river King, with the pot containing 120,000. Serial UK circuit winner Mick Fletcher mucked after a long think and Banzi showed 87 off-suit! The whole hand, dwells and all, took 20 minutes! Meanwhile Joe Grech became the chip leader when both the flop and turn brought a six to compliment his A6 holding and Karl Mahrenholz was paid off twice holding Pocket Kings to move close to the lead. Banzi, near the end of the second day had whittled down to 10,000 chips when he went on a rush. First doubling up with AQ versus A10 and then, pushing in late position with 73 off, hitting a 3 on the board to outdraw AK in the blinds to propel him back to 80,000 chips. Simon Nowab then took out Nick Slade with AA versus KK, all-in pre flop. In the last level Lawrence Gosney moved all in for the last of many times, this time with Q8 and found Mahrenholz in the bib blind with Aces. D'Cruz doubled up on the first hand of the final with big slick versus Nowab's pocket sixes before Joe Grech departed in 9th, his pocket tens failing to hold up against Banzi's AK. Nowab, having been damaged with the sixes then pushed all-in with AJ suited and found Henson calling him with AK suited which held up for Nowab to exit 8th. Henson's repeated raises stealing blinds and his dismissal of Nowab put him firmly in contention behind Banzi and Mahrenholz with 500,000 chips each. The rest of the field were now looking short stacked with the majority of the chips in the hands of the three leaders. D'Cruz then doubled again, AA versus Wyre's AJ (pot committed following his original raise) leaving Wyre down to the felt and exiting next hand in 7th. Amazingly D'Cruz then doubled again with JJ versus Banzi's pocket tens to leave Banzi back in the pack. Play six handed lasted for two levels until Banzi raised, Henson re-raised all in with 66 and Banzi called with KQ, spiking a Queen on the flop to eliminate Alan Henson in 6th. At this stage Banzi and Mahrenholz were once again commanding chip leaders, being the most aggressive raisers on the table. With the blinds now an exorbitant 10,000/20,000 D'Cruz pushed once again, with A3 this time, and was called automatically by Banzi with AQ, eliminating D'Cruz in fifth when the board brought no improvement for either. With both Nelson and Howard flying on fumes with 6 and 8 big blinds left respectively and in automatic push mode, Howard then found the hand he was looking for, AK, but ran into Mahrenholz's QQ which hit a set on the flop to eliminate Greg Howard in 4th. Two double ups later Ian Nelson from Liverpool was back in it with the unlikely 76 suited versus a pair of fours from Banzi but he was soon to run A5 into Banzi's AJ with both hitting their lower pair on the flop. Ian Nelson finished third. Heads up was therefore between two friends and rising stars of the British Poker scene, the WSOP bracelet winning Praz Banzi and Karl Mahrenholz. Banzi began with a 1.1m to 900,000 chip advantage. Banzi chipped away at Mahrenholz for quite a while by aggression and frequent big bets on the river putting his opponent to the test before two hands collided, Banzi's 99 holding up against Mahrenholz's A8 to make him the champion, receiving over £75,000 in total with no deals. Ed note: Download Full Tilt Poker to play with the world's biggest poker stars.